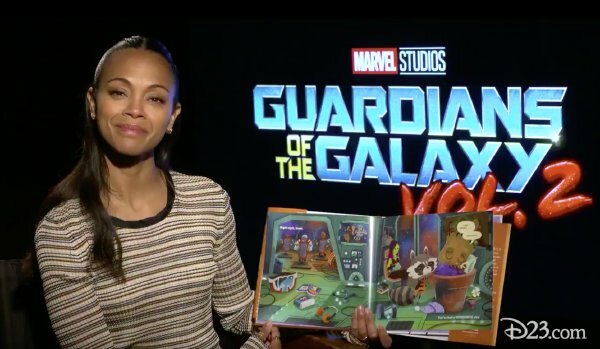 Zoe Saldana helped promote Guardians of the Galaxy Vol 2 and literacy by reading the child's story Night Night Groot. NIght Night Groot is based off the famouns 1947 childs story Goodnight Moon. This version of the tale is by Brendan Deneen and Cale Atkinson who integrated the characters of Guardians of the Galaxy as well many other Marvel characters into the story. Goodnight Groot may become part of a larger line of Marvel books aimed at young children. I am not sure how many people know about the story of Goodnight Groot but it is very good. I highly recommend for comic fans who have small kids. It can be purchased very economically from the link below on Amazon. Gamora is played by actress Zoe Saldana in the film Guardians of the Galaxy. Who per usual looks epic as the deadly assassin! A what the hell have I done moment? She looks like she is saying......Excuse me? Check out the best Gamora art work!